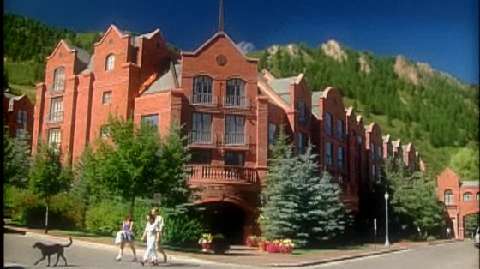 Ideally located at the base of Aspen Mountain, St. Regis Resort, Aspen is situated between the mountain's two primary base ski lifts, and within walking distance to all of Aspen's shops, restaurants and entertainment. The majestic mountains and historic town of Aspen offer an unmatched environment for winter skiing, summer sports and the arts. The St. Regis - Aspen's foremost address -- delights every guest with superb service and the decadent Reméde Spa that features signature touches including chilled champagne, truffles and Kashwere throws. The resort is steps away from restaurants, entertainment and exclusives shops including Chanel, Louis Vuitton, Prada, Gucci, Fendi and Christian Dior. Abundant recreation options await you. Ski, snowshoe or winter fly fish when the temperature dips. Warm weather pursuits include whitewater rafting and tennis. And Remède Spa offers total indulgence, and a 24-hour fitness center, any time of year. Emulating a guest suite in a historic late 19th century mountain manor, a subtle mix of winter grays and summer warm tones blend the room with striking outside views and natural textures to create a rustic, yet sophisticated environment. The antiqued oak flooring features a warm, dark stain overlaid with a delicate white wash; an accent rug adds additional warmth. Rooms are outfitted with custom furnishings including a leather bed and desk designed by Ralph Lauren. Exquisite marble bathrooms offer double vanities, bathrobes and Remède bath amenities. Whether it's an artfully arranged bite or a decadent four-course masterpiece, the celebrated fare will delight the palate and seduce the senses. Internationally acclaimed, the Executive Chef transports his culinary magic to The Restaurant, a stunning showcase for cuisine destined to stir the senses. For outstanding live jazz and piano, and equally spirited refreshments, make your way to the Shadow Mountain Lounge. All meals are served at The Restaurant at the St. Regis Aspen, where Chef Adam Tanner incorporates the finest ingredients from the Roaring Fork Valley and across America to create gourmet offerings using a "farm to table" cooking style. Signature dishes include flame-grilled Milagro Ranch sirloin burgers with parmesan fries, citrus poached Maine lobster cob salad and Meyer Ranch prime beef tenderloin. Round-the-clock room service, twice-daily maid service, complimentary shoeshine and daily newspapers spell out the kind of luxury one can expect here. Pets are welcome but at a price, so call ahead. Remède Spa is committed to creating an exceptional experience for each guest. From champagne and chocolate, to luxurious throws and customized treatments, the goal is to surpass all expectations and to help you escape to a sanctuary of indulgence and relaxation. Spa guests enjoy complimentary access to all Remède features including an oxygen lounge, steam caves, cold plunges, hot tubs, fitness center, and Confluence waterfall. For your next industry affair, might we suggest Aspen's largest and most prestigious meeting space. The St. Regis Aspen Resort proudly offers over 20,000 square feet of indoor and outdoor conference and banquet venues. This is the ideal space to gather with colleagues, provided you're able to focus on the matter at hand rather than the magnificent scenery. The 14 fully equipped meeting spaces can accommodate special events and celebrations for up to 1,200 guests. The finest in audio/visual equipment is at the ready and corporate meeting planners will enjoy the services of a St. Regis Executive Meeting Specialist-a highly trained individual who will ensure your event transpires beautifully.